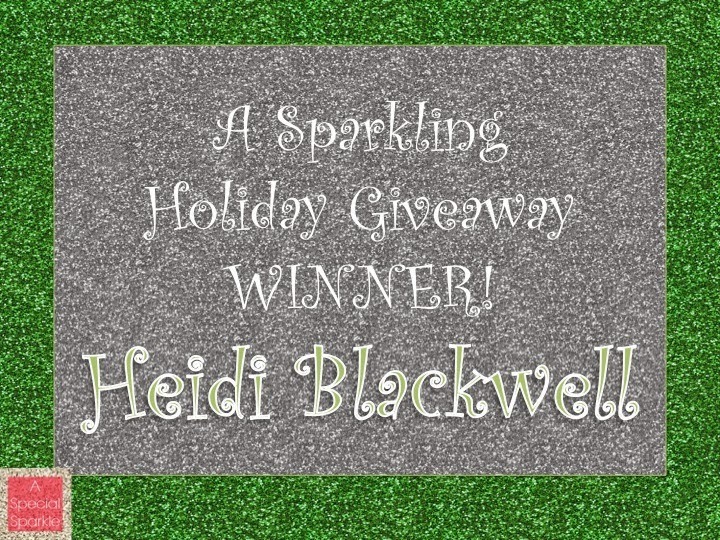 A Special Sparkle: A Sparkling Holiday Winner! And we have a winner!!! Thank you to all of you who participated! We'll be sure to have more giveaways in the future! Heidi, you'll be getting an email from me shortly with part of your prizes, my authors will be sending you the other parts. Congratulations and Happy Holidays! !